Conspiracy theories abound about U.S. presidents who died in office. We’ve all heard them and many have curiously considered the speculative what-ifs. In the case of one late commander-in-chief, however, the digging into his cause of death went beyond idle interest. 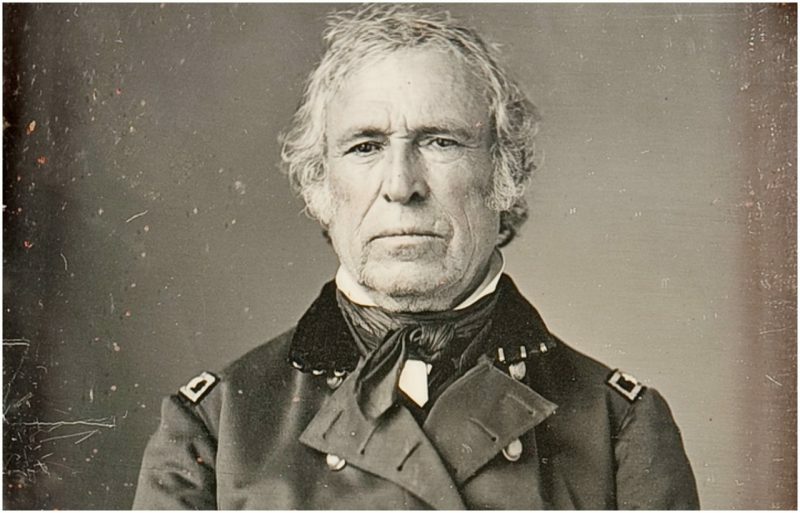 More than a century after his death, Zachary Taylor’s body was exhumed and tested for poisoning. 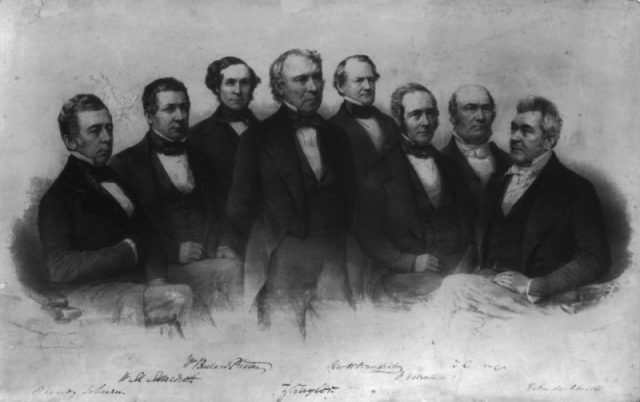 Taylor, the United State’s 12th president, had been elected in March 1849. Serving only 16 months, he died five days after becoming sick after eating a bowl of raw cherries and iced milk. He had just returned from a July 4th dedication of the Washington Monument, and after eating the snack, complained of severe stomach cramps and took to his bed. Acute gastroenteritis was the diagnosis at the time. 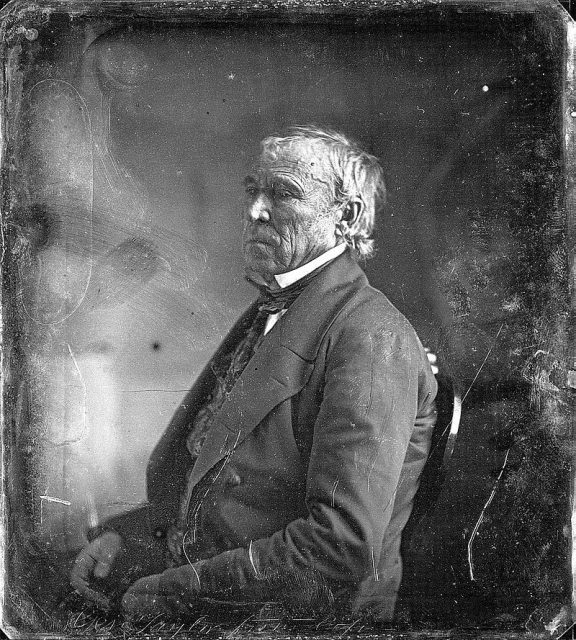 Daguerreotype of Taylor at the White House by Mathew Brady, 1849. The 65-year-old, who had been in otherwise good health, was laid to rest for several months at Washington, D.C., Congressional Cemetery, then moved to the family plot in Louisville, Kentucky. And that seemed to be that for more than 100 years. But in the 1970s and ’80s, conspiracy theories began emerging that Taylor’s death might have been more sinister. The biggest proponent of this theory was Clara Rising, a researcher and professor at the University of Florida who was working on a book on Taylor. She noted there were powerful interests that he had disappointed, people who felt they had a lot at stake. 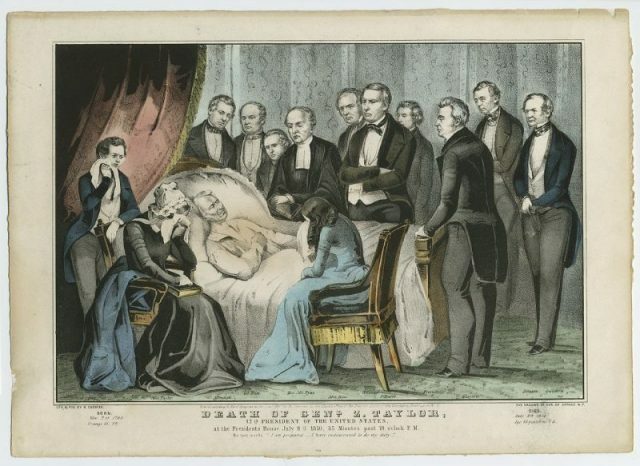 Death of General Z. Taylor, 12th President of the United States. 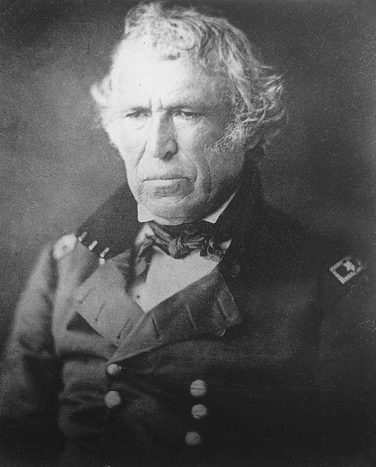 Taylor had been a career military officer and rose to be a national war hero in the Mexican-American War. Before then, in fighting against the Seminole, he earned the nickname “Old Rough and Ready.” He was reluctant when he was approached to run for president by the Whig party, but finally gave in. His platform was never clear, but it was a time when tensions were rising over slavery in the country. Many wanted to expand slaveholding to the newly acquired Western territories. Taylor, who came from a prominent planter family with Kentucky and Virginia ties, was a slaveholder himself. Other slaveholders expected to find him their ally when he took the country’s top office. Instead, he wanted to bring in the new territories as free states. 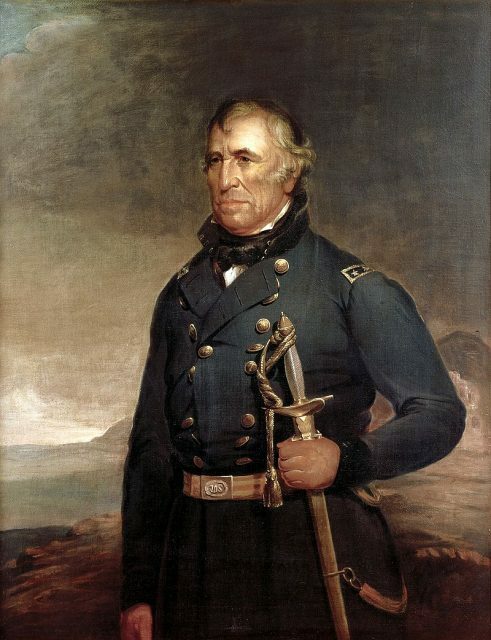 Official White House portrait of Zachary Taylor. As tensions rose, Taylor seemed to make things worse by keeping his distance from Congress and even his own cabinet. Conspiracy theorists like Rising looked at the suddenness of Taylor’s death and the growing political maelstrom of the time as evidence he may have been poisoned by enemies, likely by arsenic. And Rising and others were able to find a living descendant of Taylor’s for permission to exhume his body for tissue samples to check the theory. If her theory was true, Taylor would have been the first president assassinated in office. So in 1991, the former president’s remains were exhumed to be tested by a team of Kentucky medical examiners. Uniformed officers from the Department of Veterans Affairs stood at attention as as Taylor’s flag-draped walnut coffin was taken to a hearse and on to medical facilities. They were quickly returned the same day. No signs of poisoning were found, and nothing much else of interest, except that Taylor had been a tooth-grinder. 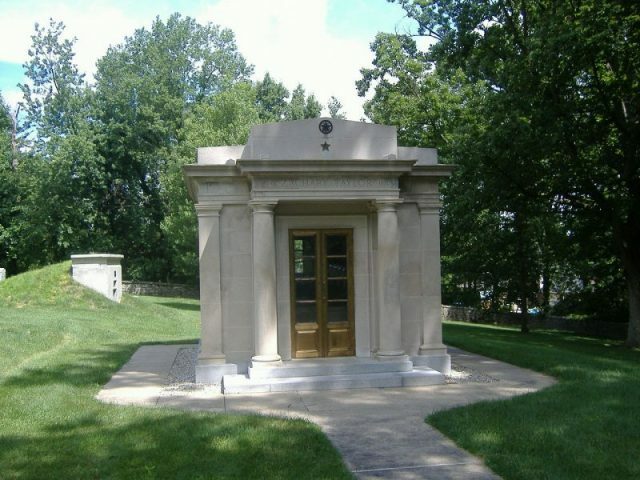 Taylor’s mausoleum at the Zachary Taylor National Cemetery in Louisville, Kentucky. And so Taylor was relegated back to his place in history – ranked by historians as one of the most forgettable presidents of the nation. But there is a footnote to his death that seems to hold more credence than the poisoning theory, and that is that his death was more likely caused by shoddy medical treatment to the cramps he developed. According to records, he was given opium and ipecac to induce vomiting, as well as bleeding and blistering treatments relied on in the day. Some believe Taylor would have had a better chance at survival with no treatment. Read another story from us: Thomas Jefferson: Emancipator or Enslaver of Men? While Taylor’s exhumation to check for poisoning is unique, the bodies of other presidents have been disturbed for various reasons – such as Ulysses S. Grant’s body’s transfer to Grant’s Tomb in New York City years after he died. Assassinated President Abraham Lincoln’s coffin was opened four times, just to establish that he was really in there. Terri Likens’ byline has appeared in newspapers around the world through The Associated Press. She has also done work for ABCNews, the BBC, and magazines that include High Country News, American Profile, and Plateau Journal. She lives just east of Nashville, Tenn.